Senior Joey Smith is one of the most talented and devoted students in Webster Groves high school, but she won’t be caught saying so. Smith has a 4.25 GPA, scored a 34 on the ACT, has personally fostered 26 dogs and five cats in her home, holds 7 softball records at WGHS, is in the WGHS record book 38 times, has been a starter for Varsity lacrosse and softball since freshman year, and on top of all that, she volunteers at Kraus Farms and competes in equestrian shows. “This is the multi-faceted gal that never ever toots her own horn”… “She does it all with this kind of very humble approach to life,” World Civilizations teacher Betty Roberts said about Smith. Smith’s success and service has led her to acceptance into Ivy league school Princeton University, where she will continue playing softball. Smith didn’t always want to play softball in college; prior to junior year, she was planning on playing lacrosse. “After my sophomore year in high school, I got really frustrated with select softball, in general managing my time with different sports and the different coaches understanding different levels of commitment to different things,” Smith said. The next two summers, Smith didn’t play select softball full-time. She’d still sub in for teams when they needed a player, but it wasn’t the same level of commitment. Smith’s interest in softball remained stagnant until the summer going into junior year, when Roberts asked Smith and senior Maia Langdon to help coach Roberts’ daughter’s seven and eight year old team. Coaching children that summer helped Smith rediscover why she loved playing softball. “You see how eager some of them are to play”… “And even they don’t have the skill, how hard they try and how much fun they have with it. Sometimes when you’re older you’re just so used to playing that you’re only playing because you’ve done it forever, instead of ‘wow I really like this,’” Smith said. 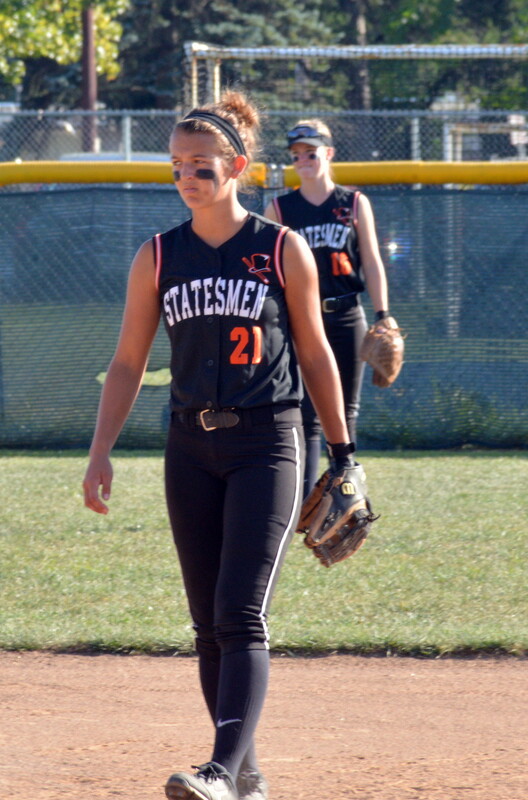 Once the 2014-15 school year started, Smith was back to playing with Webster’s softball team and loving the sport.